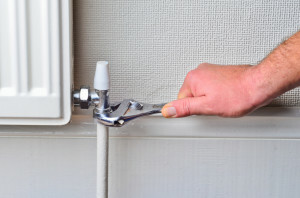 Are Your Radiator Valves Working as Well as They Should Be? Steam traps are an integral part of your industrial operations, and you should be focusing on the different components of your traps to make sure they’re working as well as they should be. A faulty steam trap could be costing you thousands of dollars, and bad radiator valves could be the culprit. Invest in regular maintenance. Bringing in the pros to do some steam trap testing could nip your problems in the bud, which will save you tons of money over time. In fact, systems with regularly scheduled maintenance programs account for less than 5% of the leaking trap population. Also, quality maintenance programs can reduce steam loss to a paltry 1%, which adds up to thousands of dollars over the long run. A professional can suggest ways to improve your radiator valves, or simply recommend a complete replacement to avoid future leaks and losses. Which valve should I get? There are three great radiator valves to consider when looking to switch or find new valves. Solenoid valves are some of the easiest to install in an existing system, and you won’t need to stop or drain it for installation. Spirax Sarco products are known for being some of the best in the business, providing quality radiator valves and other components. Finally, Spence valves have one of the best reputations in the industry, and the company has been around for over 100 years. A great tip is to invest in thermostatic valves, which automatically control water temperature in cooling systems, saving you tons of time and effort. Find a great warranty. Despite your best efforts, things do sometimes go awry in steam traps, and it’s important to be protected in case problems arise. Standard Industry steam traps come with a one year warranty and typically last three to seven years depending on service, environment, usage, and other factors. You cannot afford to be left in the dark when it comes to your steam traps, and shutting down operations for even a day can put a huge dent in your weekly and monthly goals. Investing in the right type of steam traps and radiator valves while protecting yourself with maintenance and warranties is a crucial factor in keep your systems running correctly. Find a pro who offers all of these great products and see what solutions will work best for your system.